Of course you’d be terrified, to put it mildly. Nobody wants to be the guinea pig when it comes to making sure all those gears, engine parts and electrical systems are working well together. When it comes to our collaboration software, we want to provide you with a smooth ride, without complications or guess work. That’s why we offer a wide array of integrations and extensions that can help you manage your teams and be more productive. They also happen to work really well together. Because really … who wants to be a guinea pig? TestLodge is an online test case management tool designed to be less-complicated than traditional software by providing the basic essentials needed to get the job done well. The system focuses on helping you create your test plans, input your requirements, and create and manage your test suites and cases. It also allows you to easily perform multiple test runs and generate reports. In addition, software testers and QA teams can save time by having tasks automatically created with all the relevant details by TestLodge, instead of having to manually create them by hand and disturbing the flow of testing. Google Drive lets you store your files for free, access them from anywhere, and collaborate with others. Google Drive Integration allows you to attach Google Docs to real-time chats, tasks and conversations, and allows your colleagues to edit these files. Box allows companies to have an online repository of files that synchronize to users’ local hard drives, and are structured in folders. This allows you to keep all files centralized and accessible from your computer. Copy for Companies makes it easy for your team to store, share, protect, and sync your files from any location and any device. It seamlessly attaches files and documents stored in your Copy account to Redbooth tasks or conversations. AppGuru gives IT enterprise-grade control over all cloud apps in their organization through one centralized point of control. AppGuru extends the functionality of Redbooth by providing one-click user provisioning, granular policy settings, easy license management, and a tight integration with Active Directory. Easy Insight offers the capacity to drill down into the heart of your business with complete visibility. Integrate data across platforms, build advanced custom metrics with an easy to use drag and drop editor, create rich visualizations, and share your work with unlimited viewers. ESS for Redbooth provides users with reporting capabilities and KPI’s for any Redbooth account. Key features include: reporting with dozens of charts; insights on KPI’s for core elements like users, projects, etc. ; Smart Data Export; and custom reports and alerts. JustAddContent can integrate with Redbooth to automatically create new tasks from any website form submissions. It can be used externally to let customer submissions create tasks, or internally to let teams create new tasks by submitting forms. The Evernote family products help you remember and act upon ideas, projects and experiences across all the computers, phones and tablets you use. Users can automatically create Redbooth tasks from Evernote Notes, or create Redbooth projects from Evernote Notebooks through Zapier. Paydirt is time tracking and invoicing software for freelancers, consultants and small teams. Its’ Chrome extension allows you to track your time in Redbooth. Pivotal tracker is a collaborative, lightweight agile project management tool. You can integrate Pivotal Tracker with Redbooth to create new Redbooth tasks for each new task in Pivotal Tracker. You can also have comments in the Redbooth task reflect any updates on Pivotal Tracker, and keep status for tasks in sync. No more trafficking your team or client’s bugs! An easy 3-step install of Redline bookmarklet into your browser, or Redline ribbon onto your website, allows anyone on your team to mark bugs directly on the webpage. After they submit from Redline tool, the bugs are automatically input into Redbooth. Multiple Redline plans are available to fit your business needs. Zapier lets users create integrations that automate tasks between hundreds of web applications. Integrate Redbooth with dozens of your favorite productivity applications through Zapier. Supercharge your inbox with collaboration. 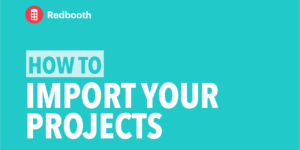 The Redbooth plugin adds Task Collaboration features to your Gmail, with a supercharged interface, allowing you to: convert emails to tasks; access All Tasks from Gmail; create tasks at any moment from Gmail; and access Redbooth Apps from inside Gmail. 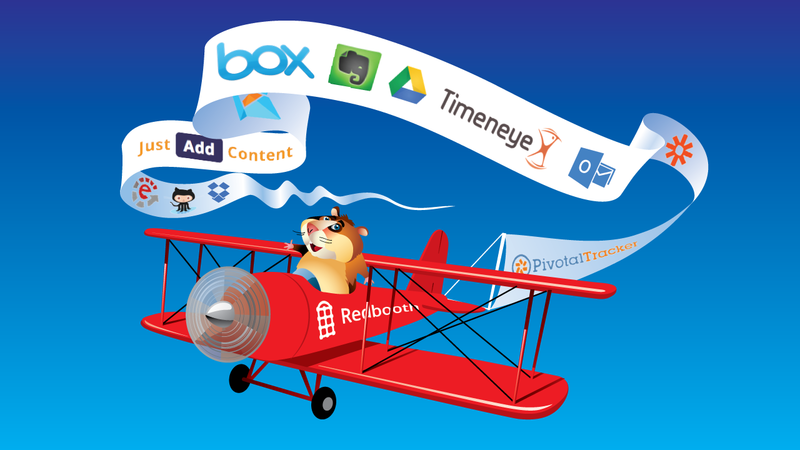 Redbooth for Outlook plugin enables collaboration in your inbox. You can convert emails into tasks, and create new tasks at any moment from Outlook. 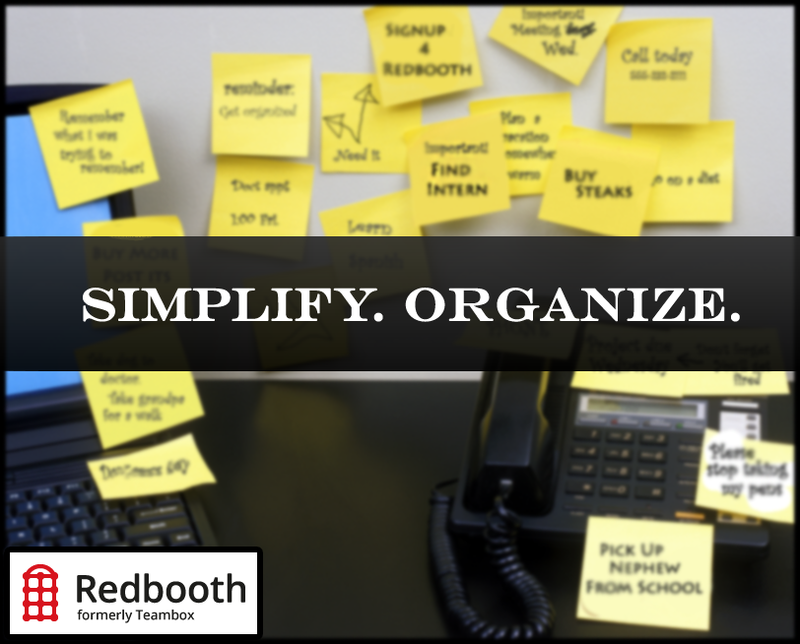 We do our best to provide plenty of extensions and integrations to make your Redbooth experience a good and productive one. We’d love to hear about the ones you enjoy using! Have you found a particular integration to be the most effective when it comes to managing projects, and are there any more extensions you’d like to see us offer? Please let us know right here.